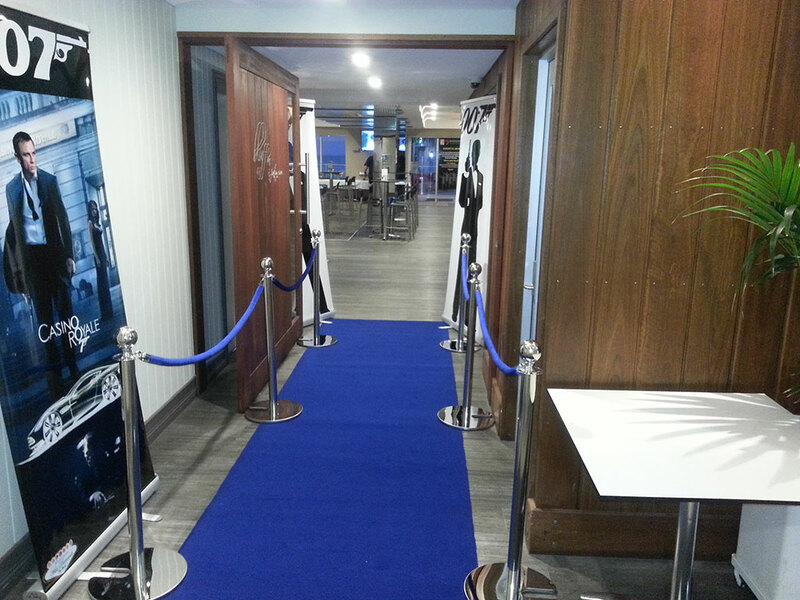 Have a Blue Carpet Entrance for something a little different. Gives the Royal fell to any event. Blue Carpet with silver Bollards and Blue velvet ropes.